Throughout the week several activities were presented (theatre staged readings of texts from the five PIIGS countries, an open debate on the subject of crisis and creativity, a young PIIGS festival, a playwrights’ encounter, a presentation of the book “PIIGS drama on the crisis”, a projection of photos and other artistic works), with the aim of creating a framework in which reflection and cultural exchange, dialogue and mutual understanding is possible, as creators and people. 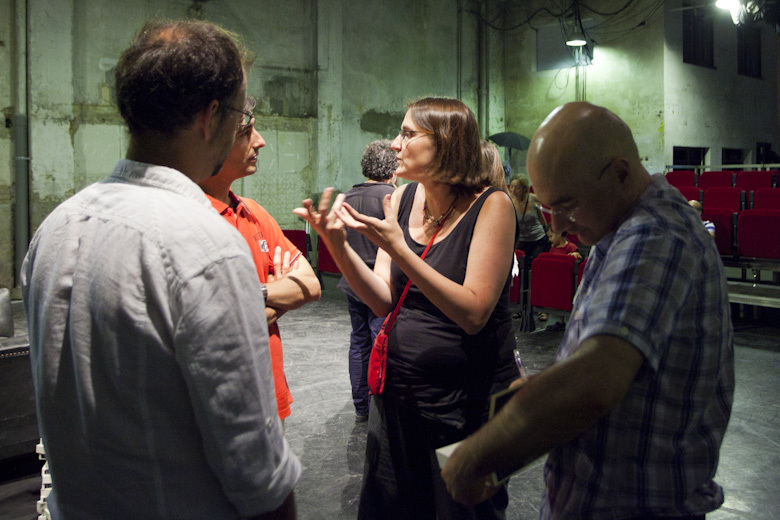 The idea of organizing a festival of dramaturgy on the crisis in Europe was born, as many projects are, around a cup of coffee, in this case in La Clandestina, a shop located in Ciutat Vella, in Barcelona. As an artistic collective, we wanted to respond in some way to the existing political and social situation at the time, which sadly still exists and persists. Our first impulse was to make a play: Dow Jones, a monologue written by one of our partners in which the main character, a homeless person with extensive knowledge of the economy, reflects on the nature of capitalism and of being human. But soon we realized that the complexity of the situation demanded a wider response. 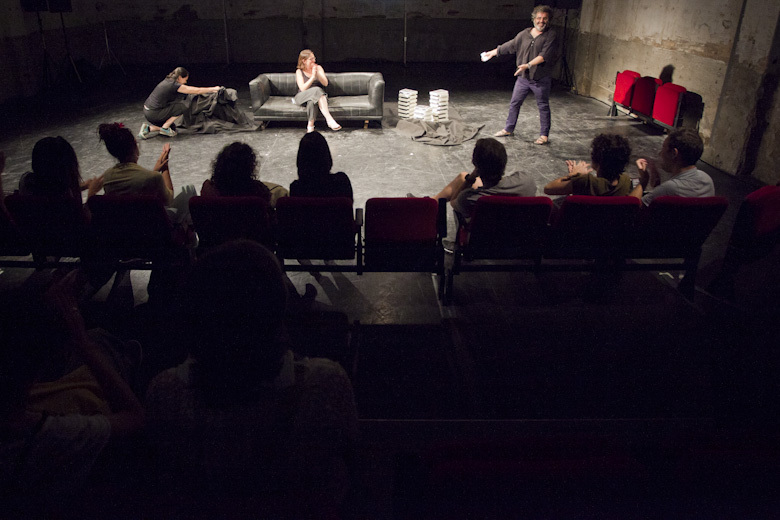 We didn’t want to produce a play, we wanted to share our experience as Europeans and listen to other European experiences through this common territory known as the theatre. We didn’t want to present a show about the crisis, we wanted to create an event more diverse and polyphonic, more open and inclusive. And we got right on it! So, once we prepared the first draft of the project, we went to Nau Ivanow, a creation factory in Barcelona. We felt they were a suitable partner and a necessary agent to involve in the festival, due to its trajectory, dedicated to the creation and diffusion of performing arts, and its philosophy of work. And so it was. The second pillar of the project was, without a doubt, Sala Beckett. At the first meeting, Toni Casares, director, was excited with the idea and wanted to collaborate actively with us. 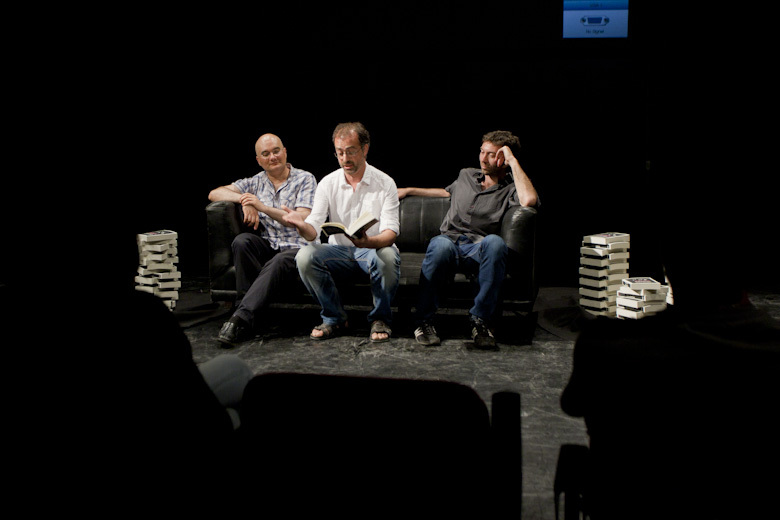 We decided together to organize a meeting, during the festival, including the playwrights invited to the Obrador Internacional de Dramatúrgia 2014 and the playwrights invited to the PIIGS festival. The next step was a little more complex, we contacted the public institutions related to culture and theatre of the countries involved (Portugal, Italy, Ireland, Greece and Spain). Although the dialogue with each country was different (within the framework of the problems), in all cases we found a common point: the difficulty of finding appropriate communication channels and a specific response to our proposal. Indeed, the fact that countries were particularly affected by the crisis was all too evident: the budget for cultural projects of this kind was almost nil. Also, excessive bureaucracy didn’t help. Finally we found a way to work together based on collaboration rather than financial contributions. 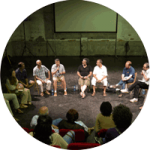 Once the jury of the festival, comprised of Toni Casares, Marilia Samper, Beatriz Liebe, Jordi Alzina and David Marin, jumped on board in January 2014, a period of very fruitful dialogue with the selected authors began in order to define their proposals. From then on, it was a pleasant surprise to see how excited the authors involved in the festival were. The enthusiasm they showed throughout the process, tuning in with our proposals, gave us a very rewarding sense of corroboration. For us it was very important to feel we responded to the expectations of these creators and we were all in the same boat from the very beginning. 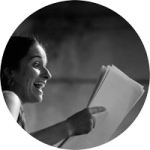 Simultaneously, we began searching for potential translators of these plays through institutions (Istituto Italiano di Cultura di Barcellona and Instituto Camões) or through personal contacts as Marta Roigé, Marta Torras and Rocío whose generosity and commitment cannot be described in this short introduction. To them, and to many other people, from María Jatziemanuíl (in Greece) to the same Davide Carnevali, through the photographers Jordi Boixareu and Juan Zapata, Oscar García from La Jarra Azul, Jordi Alzina and many more we express our sincere thanks. Without these people the festival wouldn’t have been possible. 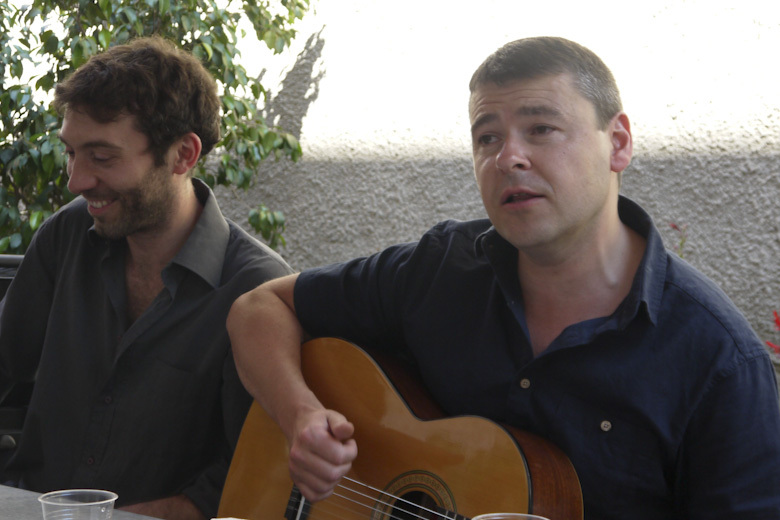 On the same note, we thank Ramon Simó, because apart from listening to our requests (and they were many!) he did everything possible to help us. 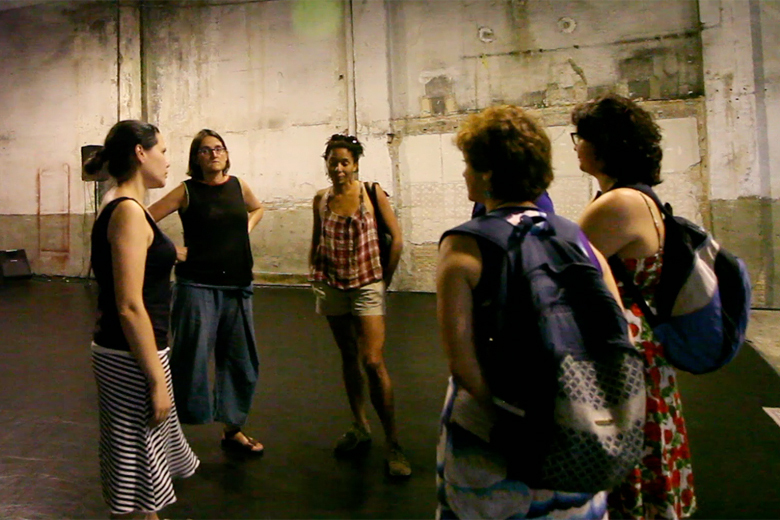 And we are indebted to Clara Matas, for helping us to channel our participation into Festival Grec 2014. Finally, the moment to carry through the edition of the plays approached. After some meetings with several collectives, we decided to order it through Rosa Lladó, a graphic designer and a friend. In late May, she showed us a final proposal, which both authors and ourselves found fantastic. We hope you enjoy it! The experience, however, has taught us the value of taking the initiative and to recognize the same difficulties we imagine before starting (and many more!) can be easily solved with big doses of work and imagination. 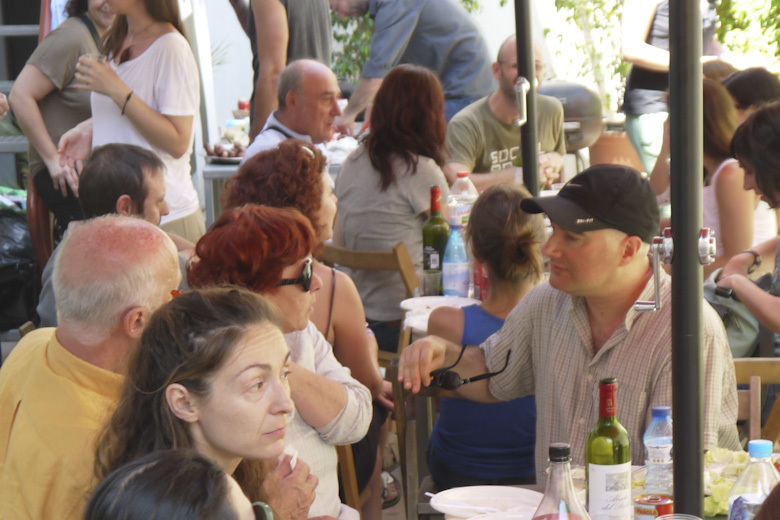 Never before had we organized a festival and, certainly, we made many mistakes. 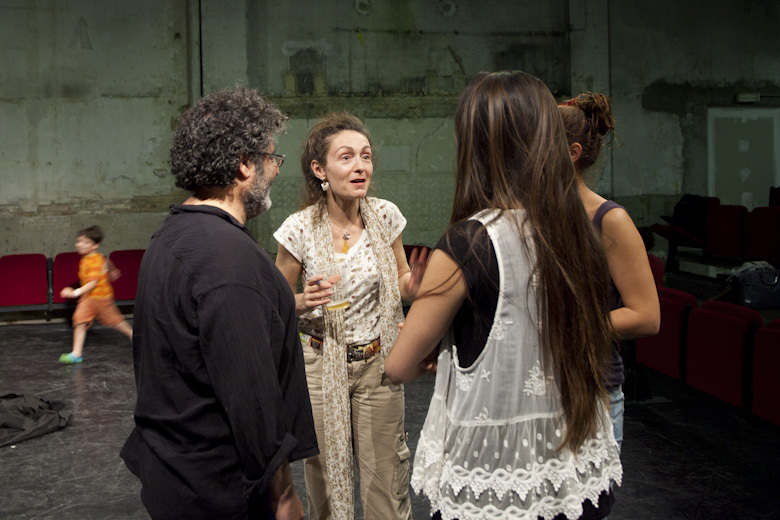 But to have triggered the creation of five original plays and having the opportunity of getting to know the authors, and present these plays to the public and see them published in a bilingual edition and dramatizing their plays for the first time, all these achievements made us feel very proud of starting this journey a year ago. Thank you to all the people who made this possible. Antonio Morcillo López, Beatriz Liebe Masferrer, Rosa Moliné Boixareu. 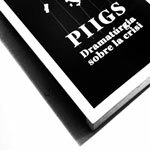 Now you can buy the book from the 2014 PIIGS Festival. 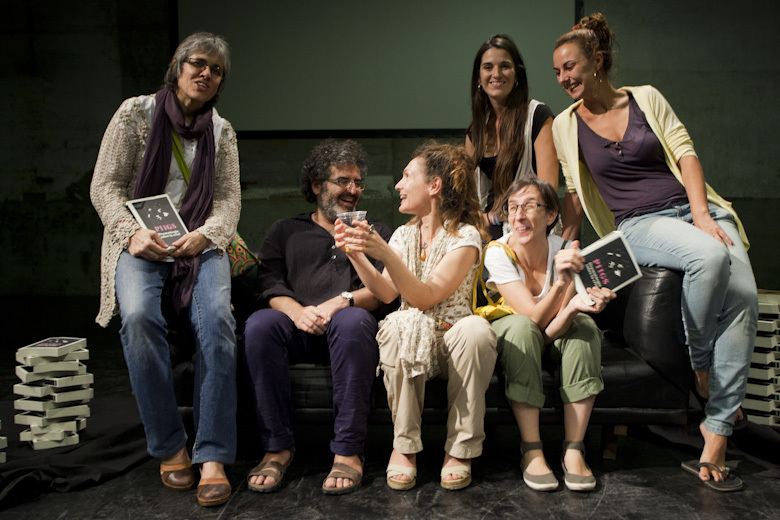 A collection of the 5 plays selected for the first edition of the festival, in their original language and translated to catalan.